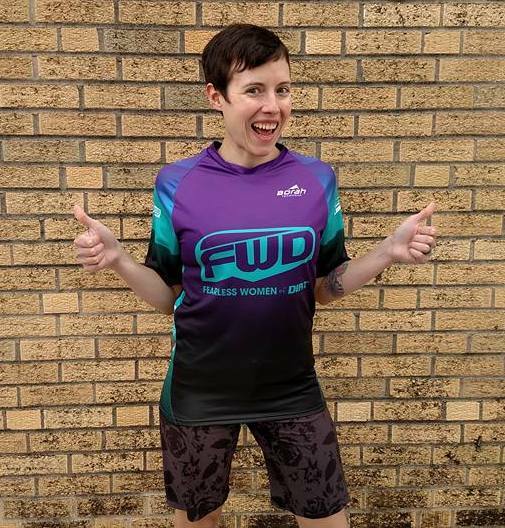 My name is Kayla Turner, I live in Knoxville, TN and #bikelife is pretty much my whole life :-) I have been riding bikes for as long as I can remember. As a kid, I did gymnastics, played soccer, and ran track but it was cycling and specifically mountain biking that really clicked for me. I loved being in the woods and the thrill and challenge of riding singletrack. I consider myself extremely lucky to have grown up in an active family that did everything together. I have so many great memories of traveling together in our big van to races every weekend. I started racing XC when I was 11 and raced every summer until I started college. At that point, I was a little burnt out on racing and took about a 5-year break. During that time I started working at a local bike shop and met my husband. I graduated from The University of Tennessee with a B.S. in Food Science and Technology but decided I didn't want to leave the bike industry and have been working at The Bike Zoo for 10 years now. I love being surrounded by bikes and people who love them just as much as I do. 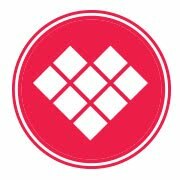 I also get to help people start cycling and share my love of the sport with them. Over the past couple years I have really gotten into endurance/marathon distance mountain bike races. I love the extra physical and mental challenge of being on the bike for 4+ hours and getting to see so many beautiful places by bike. I love cycling because no matter how long you've been doing it there is always a new challenge or obstacle to conquer. My dad switched from road racing to mountain biking when I was young and my family would all go to the trails on the weekend. I really loved the feeling of freedom when flying downhill and the feeling of accomplishment when I was able to ride over an obstacle or make it up a climb for the first time. Riding over technical rooty and rock sections was a challenge at first but I learned that staying loose, keeping momentum up, and letting the bike "float" over stuff makes it much easier to handle the terrain. Technical trails are now my favorite ones to ride! I still struggle with very steep trails and drop-offs. Getting a dropper post has helped a lot with confidence on steep stuff. I look at everything as a challenge to try but if I'm not feeling like riding something I'm still comfortable with getting off and walking it. I almost exclusively use clips, I started using them because they are more efficient for the racing I do and I've used them for so long now that I'm more comfortable with them than I am with flats. I think finding encouraging people to ride with is very important. I have participated in the local Bell Joy Rides and they are a phenomenal way to meet and find other women to ride with. Also remember that everyone starts as a beginner and there is nothing wrong with not being able to ride everything right away, focus on small progressions and you'll be amazed at what you can ride after a while. I had watched my dad do lots of races and it looked exciting so I decided to try it, I enjoyed pushing myself in a way I wouldn't have done on a normal ride. That's a tough one :-) My favorite event is probably the Lula Lake Landtrust 5 points 50 in Chattanooga, TN. It's 50 miles of fast, fun singletrack with a few rock gardens thrown in to keep it interesting. Racing is fun! Even if you're not the fastest person out there it's fun to line up with other like-minded people and ride in a different environment than you normally would. You also might find yourself riding things you wouldn't normally attempt or riding farther than you ever have before. I like to do some of the same events every year so that I can see how I've progressed. What do you love most about working in the cycling industry? I think cycling is an awesome sport and I get to share that with people every day and see how it affects their lives in a positive way. I do sales, all the merchandising for the store, and minor repairs. I think with more women getting into the sport we need more women in shops. It might be intimidating to think about working with mostly men but I've found that most guys in the cycling industry are pretty cool and it's a very fun work environment. Riding my bike gives me confidence that transfers to every aspect of my life. If I can ride my bike over mountains, I can do anything! It's also a great outlet when you're focused on flying down a trail it's hard to think about all the things in life that might be stressing you out. I have a Specialized Stumpjumper (full suspension mtb), Chisel (hardtail mtb), and Diverge (road). I do most of my mountain bike races on the Stumpjumper, this bike makes me smile! It will climb up anything and goes downhill even better :-) I use the Chisel for gravel rides and races, I like the stability of the flat bar and bigger tires for the type of gravel roads I usually ride. The Diverge is my road bike even though it is technically meant for gravel, to me, it feels like a mountain bike with drop bars so I'm right at home on it. 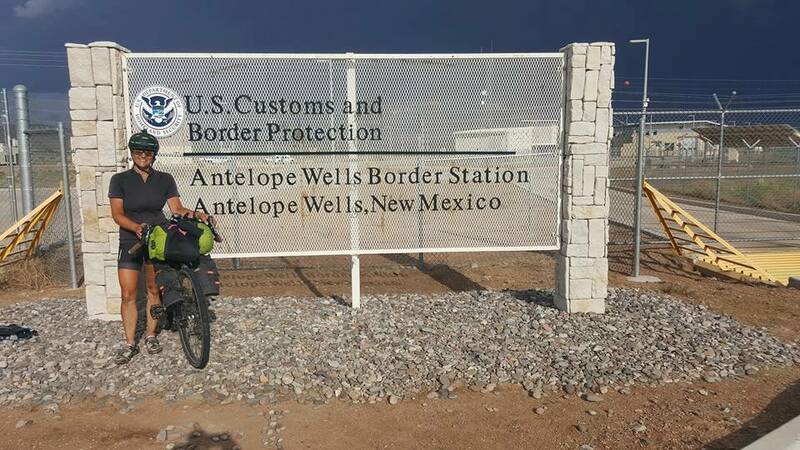 I think it can be an intimidating sport because it seems like there is a lot of equipment needed to get started and if things aren't set up right the bike may be uncomfortable. I think it's also a very hard sport to get into if you don't have the right people to ride with. Mountain biking especially since you might be out in the woods by yourself on trails you aren't familiar with. I think the best thing that can happen is more women's group rides. The number of women riding bikes in this area has grown dramatically since the Bell Joy rides started last year, the last ride had 140 women on it! I know what a positive impact cycling has had in my life and want everyone to be able to experience that! My other passion is food :-) I went through the culinary program at UT and if I weren't so into cycling I would probably be doing something in the food industry. One of the hardest questions for me to answer is what style of mountain bike I like best. It's difficult because my preferences sometimes change in a season! At this time I've found myself enjoying a Cross Country (XC) full suspension bike, my Specialized Epic. 100mm of travel front/rear keeps me planted while maintaining efficiency on climbs. 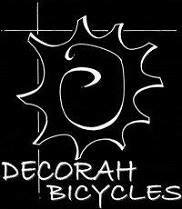 The majority of riding I do is in Decorah, Iowa where we have a wide array of XC style mountain bike trails. A goal of mine is to explore other areas/styles of mtb and in doing so, I'll have to explore other full suspension options to make it more fun/comfortable. I found the whole bike was able to compliment my riding style nicely. Sometimes I'm methodical and I'm riding at a slower pace and deliberately picking lines. When I'm bombing (in my mind) down a hill, I appreciate the give the back end has. It makes me feel more planted on the bike and that allows me to descend faster. 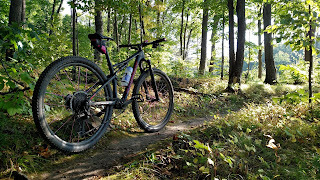 My journey to owning a XC full suspension bike came from entering the Chequamegon 40 bike race. 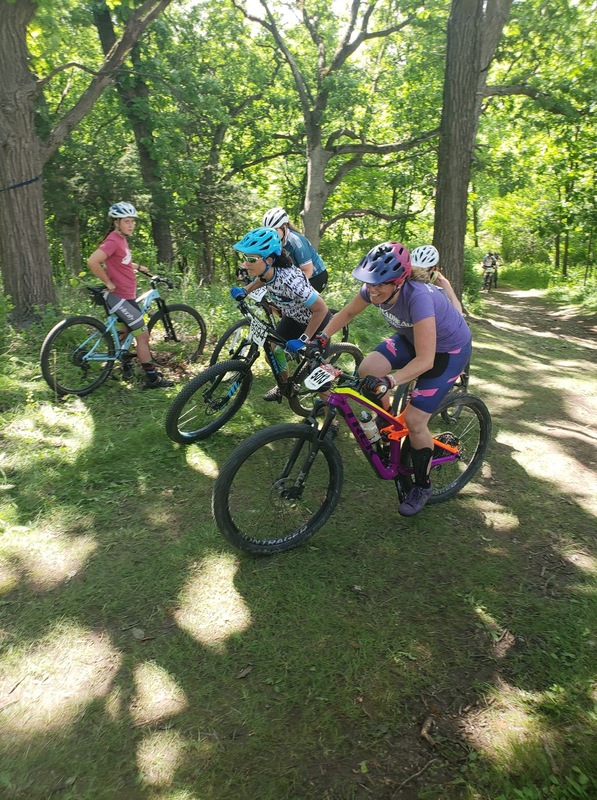 This was an event that several Decorah locals attended and most of them said that a full suspension bike was key to their success and comfort. The course is 40 miles of gravel and fire road- you'll have rocky descents that can be littered with large, rounded rocks. Depending on rain, you might have sizable ruts to contend with. It's not a smooth course, and 100mm of travel can give you just enough plushness to keep your body from totally hating you. It's a long course, so you want a suspension setup that can be efficient rather than one that is too plush (think 130-150mm+). A fully rigid bike can be lightweight but can beat you up over the course. A hardtail has suspension in the front that can aid in comfort, but over the long haul, you might find your body fatigued. At the time for bikes to choose from I had a Trek Cali Carbon SLX hardtail and a Trek Lush Carbon full suspension. Neither bike would be ideal for the course, and due to that, we decided to get a full suspension bike that would be a better choice. My first full suspension was a carbon Salsa Spearfish. That bike opened up my eyes to how fun a XC suspension bike could be compared to my fuller-travel Trek Lush Carbon. It was also my first time being on a full suspension bike where I would have 29" wheels. I found that the combination of wheel size and just enough plushness created my dream ride. My current full suspension is my Specialized S-Works Epic. Here is my first review and follow up review on the Specialized Epic. You can ride XC-oriented full suspension bike on pavement and gravel comfortably. When I was riding 30-40+ miles of gravel on the Spearfish, I would lock out the rear shock but left the front open. If it looked like it would be a bit chunky on a downhill, I might open up the rear in order to feel more stable as I descended. I have yet to ride the Epic out on gravel, but in terms of a setting for the Brain, I would likely set it 2 clicks in from the firmest setting. 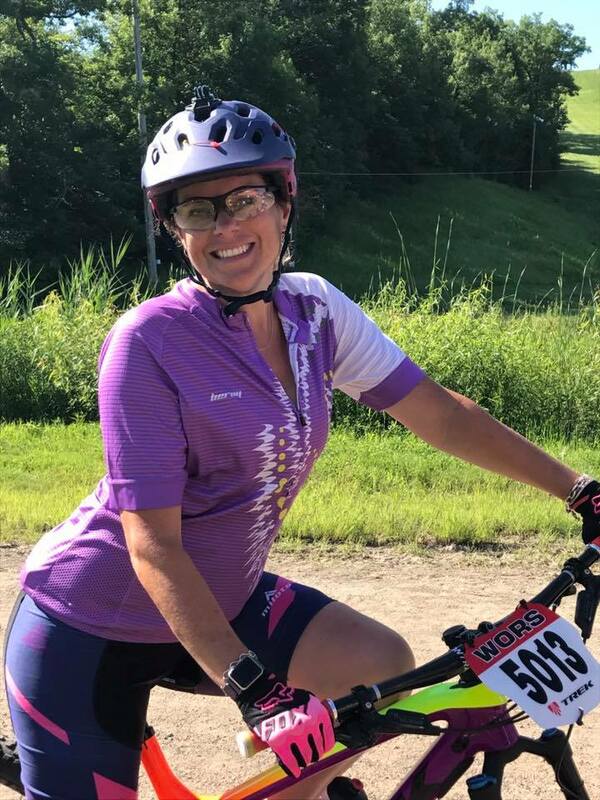 I don't mind a little give and have used that setting during my last mountain bike race where I was riding a 20-mile course mixed with pavement and gravel. When I took the Epic down a gnarly trail in Decorah, I made sure to have the front and rear shocks fully open. It worked just fine for that adventure, but going down that trail with a more "trail" oriented bike wouldn't hurt. For the "once in a blue moon" ride down Backbone, it can definitely handle it. "Why should I get one?" I won't specifically say you should or shouldn't get a full suspension bike. I think it's a personal decision best made with test rides/demos/rentals. 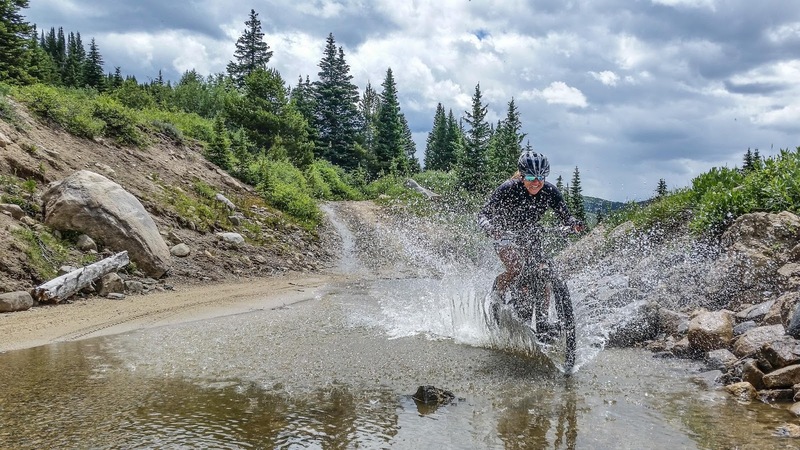 Besides, there are several styles of full suspension bikes out there and you will be the best judge on what will work best for you and where you want to ride. At this time, the majority of where I ride is XC-oriented, so a bike that has more than a 120mm/100mm setup is likely going to feel heavy and boggy. However, because the goal is to do more traveling in the future and dip my toes into more of a downhill/flow scene with some rocks/drops, I'm starting to make the move on figuring out a setup that would have around 150mm of travel. Why? Because you would blow through shorter travel and that just isn't great for the shock(s) let alone feeling stable and planted. I think a full suspension bike is a great option to take to other places because it can allow you to feel more confident with riding new/unknown trails. I prefer the feedback I receive riding my Specialized Epic on trails vs. a plus bike or fatbike. I like needling my way through roots/rocks and with a plus bike or fatbike I sometimes felt like I had too much bike to control and maneuver. 29" wheels with 2.3" tires make me feel in control and planted. Having a plush ride feel for XC descents (without the kickback a rigid fatbike or possible bounciness of a plus bike) is more comfortable for me. Time will tell how I like the Evo setup compared to the traditional Epic setup. Not everyone would say a full suspension bike is the one bike to rule them all; it really depends what you are wanting to get out of your rides. Can a full suspension bike cushion your ride on singletrack? You bet. Can it go on gravels? Yes. Will it be as efficient as a hardtail? Not always. Will you find that to be an issue? Only you can decide. Do you want to feel planted? Do you want to feel more comfortable over varied terrain without having a weight penalty of larger tires? Do you want a bike that could help you feel more confident on trails you haven't ridden before? Are you looking to feel more comfortable and have less fatigue during mountain bike rides/races? If you said yes to any of those, then looking at a full suspension bike might be a good idea. There is a lot that goes into figuring out what kind of full suspension bike would best suit your needs. Where you ride, how climb-intensive it is, and where you want to take the bike. 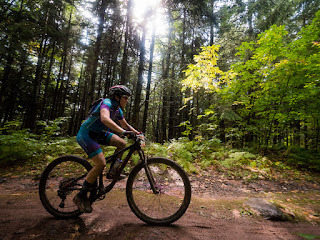 Not every bike is going to be absolutely perfect for every trail system nor will every full suspension bike be the best for races/longer rides. In the end, you may end up with multiple bikes depending on what you choose to do, or if you don't, choose something that will work the best for the majority of your riding. 29" wheels vs. 27.5" wheels will be something you try out since not all brands will give you the option of one wheel size vs. the other. Between Trek and Specialized, I am only able to get 29" wheels with Specialized brand as Trek has gone to the "smart wheel size" concept by putting on the "fastest wheel that fits." 27.5" wheels are fun, but to make a bike more "multipurpose" for gravel or paved riding, I want the larger wheel size. I enjoy 27.5" wheels on mountain bike trails, but did not enjoy them so much for a long gravel ride. For how I ride and the versatility I seek, I prefer 29" wheels most times. For me, they feel like powerhouses out on the trails while the 27.5" wheels feel more spritely. For the 150mm travel bike, my plan is to rock 27.5+ wheels so it has a similar standover of a 29" wheeled bike that has more tire footprint for questionable terrain. My thought is I'll be able to roll over obstacles easier and feel more stable when I'm riding down a trail fast. From what I've seen for the downhill riding we'd be exploring, it's fast and flowy, but you might have some rocks to roll over and small booters to "launch" off. 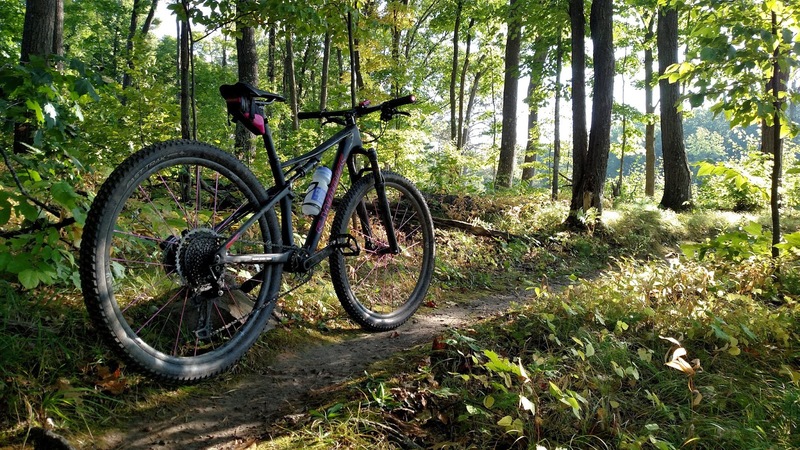 It's not so much about technical line-picking (where I prefer smaller tires) as being able to keep yourself rolling with confidence, and the plus size tires sound like a great option for that. "Is the cost worth it?" That's a question I feel only you can answer. If riding a full suspension bike vs. the other mountain bike options out there feels best, then yes. However, many do not realize that owning a full suspension bike comes with responsibility. You should get your suspension serviced regularly, not once every 5+ years. If you wait until the fork or rear shock is barely functioning that could mean parts or rebuilding the suspension. Not all bike shops service suspension in-house, so that means taking the shocks off and sending them in. Either way, servicing suspension costs money and it also means you are without a bike until it's done. A fully rigid bike does not have that cost. A hardtail has a front suspension fork which should get serviced, and that costs money. How much do you value your comfort and overall ride experience? If you find a full suspension bike ticks off those boxes for you, then the cost is worth it. If the thought of maintenance beyond taking your bike in for a tuneup makes you cringe, then maybe it's not the right option at this time. All in all, full suspension bikes are not inexpensive bikes. Throw carbon vs. aluminum into the picture and that price tag can go high quickly. It's light and has a way of absorbing bumps rather than aluminum frames. Carbon can create a very comfortable ride, plus I'll mention again that it's a lightweight material. That means it can make it easier to lift/carry the bike plus you aren't pedaling around as much weight which could equal longer rides. Folks worry a lot about breaking carbon. I have crashed plenty of times on a carbon bike and have yet to crack a frame. The best part is carbon can be fixed! Aluminum can be fairly lightweight, but it won't have the same stiffness or compliance as a carbon bike would. One benefit with aluminum is it lets you spend more on the components vs. spending more on a carbon frame and not the components you want because carbon, in general, is more expensive. You can always add carbon bits, like a seat post or handlebars to reduce weight. Go all out and get a sweet set of carbon wheels! Getting a bike that can be set up tubeless (using sealant instead of tubes) out of the box is awesome. You reduce weight as well as reduce the likelihood of puncture flats. You can run lower PSI (air pressure) for a more supple/plush ride. However, if you plan to do a lot of gravel or road rides you might want to keep the tubes in so you can run firmer air pressures. Again, it's all about how you plan to use the bike. As I've mentioned before, the best route to figure out if full suspension is the route you'd like to go is to ride bikes. There are many bike options out there and only you can really gauge which one would best suit your needs. Emma Maaranen here! I’m stoked to get to share a bit about my bike life with you. 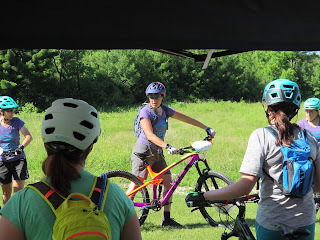 I am co-founder and athlete of KS-Kenda Women’s Elite MTB Team and, like many professional female athletes, I have a “real job” too. I am a professor at Central Oregon Community College teaching in Allied Health (vocational medical programs). I maintain clinical hours in movement rehabilitation, coach amateur cyclists and lead personal or small group MTB skills clinics. I’ve always liked going fast and pushing my comfort level. I enjoy activities where working on technical skills will make me better, instead of just being more fit or reckless. I will do almost anything to be outside, exploring new places, and sharing an adventure with a friend. Is there anything besides mountain biking that fits this bill? When I started riding a mountain bike, I was always “out with the guys” and felt I had to prove I could keep up to be invited to ride with them again. I’ve always been strong and stubborn so holding my own on the climbs was easy, but when pointed down I was death gripping my brakes or blasting through obstacles hoping that I would get to the end in one piece. This strategy often ended up in bruises and lacerations that further undermined my confidence. Riding scarred reinforced my bad habits. I went to Red Bull Rampage as a spectator that fall and took note. The riders had fluid body positions with weight over their bottom brackets and a steady focus on what was coming next. I was inspired, but at home, I just couldn’t move around much on my bike like they did. Enter the dropper post! With a newly installed KS Lev on my bike, I was able to move not just behind my saddle on descents, but to the sides for cornering and ahead to get my rear wheel off the ground. Suddenly I was riding my bike instead of being taken for a ride by it. I slowed down on descents to practice driving my bike fluidly and measured success by how well I used bike skills rather than keeping up. You know what? Going slower was faster. I was able to adjust to terrain proactively; entering obstacles at a speed I felt was manageable kept me from braking in the thick of it (which is a cause of a lot of crashes) and that let me stay loose so I could react smoothly to bumps and skids. A steady tortoise is overall faster than a go-stop rabbit. And not being scared makes me smile. Long story short, a dropper seat post is a must have for any rider in my books. I feel like a buzz-kill, but all aspects of technical riding I still find tricky. As my skills improve, I can ride more obstacles and with more speed. This just opens the door to bigger and more technically demanding terrain that sends me back to working on progressing my skills. I’m pretty sure the cycle is never-ending. My home trails in Bend OR have had a very dry summer and many of our corners are deep moon dust right now. Recently, while railing a corner, my rear wheel got completely loose and I crashed into a tree (unhurt). As much as I didn’t want it to, this unnerved me. Coming into the next mystery traction corner I let fear drive and my cornering skills went out the window. I braked entering the corner, was heavy on my handlebars, was looking for powder pockets instead of my exit, and half-heartedly leaned my bike. Instead of getting frustrated that I’ve reverted into old habits, I picked one thing to nail on the next corner; dropping my speed well before I entered the corner to be off my brakes. A small task to improve my cornering feels doable and something I can sight improvement on. After a few comfortable corners, I’ve added another task to ride a corner well and my confidence is back. Telling myself to corner better or just saying I’m not riding this well today gets me nowhere. A small “to-do” item is attainable, and success brings more success. Clips. I first flung my leg over a mountain bike with clips and I am as aware of them as I am of wearing bike shorts. I’m comfortable. I am confident. Is one better than the other? I doubt it. They each have advantages and disadvantages. Ride what you like. Don’t go for your first ride with your significant other or your “expert” friend! Most communities have bike shops with women’s groups. These groups often have rides for beginners with a leader who is knowledgeable in helping first-timers. 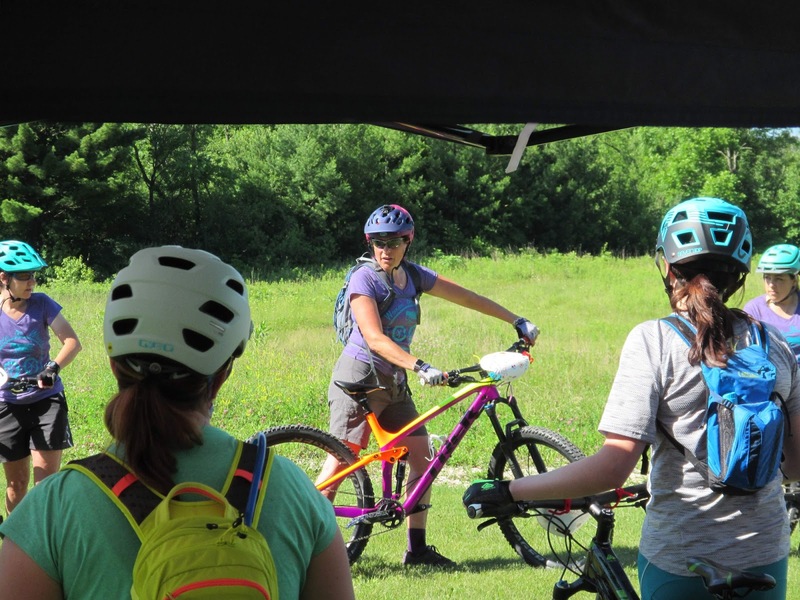 The shop will put you on a fun and safe bike that is fit to you, and the ride will be on appropriate terrain with a community of women with the same concerns as you. You will make friends with other new riders, be on a solid bike, and start your mtb riding out with good habits! You had a substantial accident several years ago, how did you deal with the mental/physical challenges? What helped you overcome? I won’t share the details or the gore of the MTB accident I was in, but I was profoundly injured and went through two years of medical procedures to save my left lower leg and foot. Very early in my recovery I understood I could be defined by my accident and live in a holding pattern or I could use the accident as a springboard to grow from. I chose the latter, and this meant that I would have to become a mountain biker. I began my journey by not acting as a victim of fate or circumstance, but taking a look at the pieces of ownership I could have that contributed to my accident. The truth was, I was riding at a speed that was at the top of my ability level because the trail was labeled easy/ green. I was a strong and fit athlete, but not a seasoned or skilled bike handler. I believed that if someone else could do it, I should be able to as well; not giving credit to the experience and specific work that the other rider/ person has done. 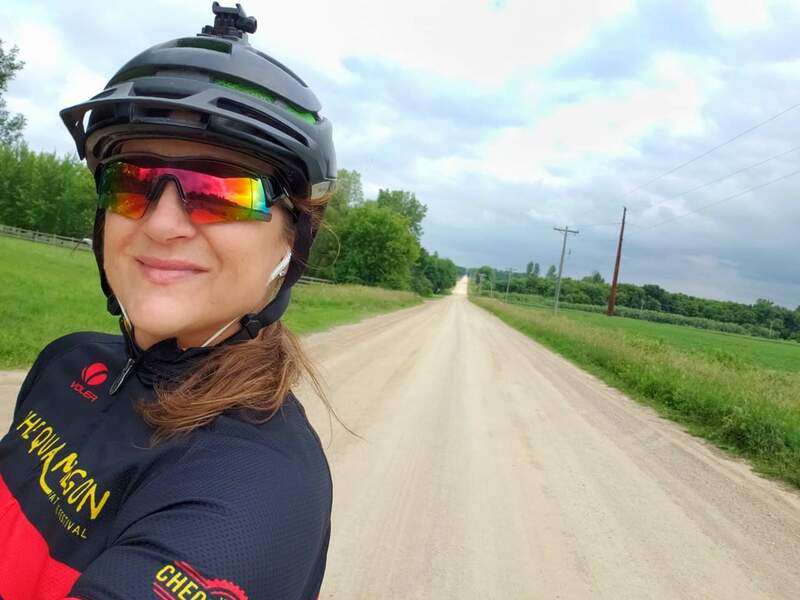 As soon as I shifted my mental space to taking responsibility, it became obvious what I would need to do to get back on my bike with confidence. 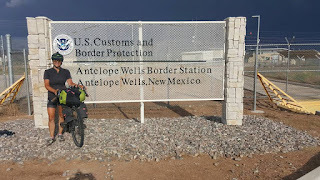 When I was approved for weight-bearing activity, I got on my bike in a grassy park and practiced beginner bike drills I found online and in publications. Soon I was taking bike handling clinics and doing drills on mellow mtb terrain. 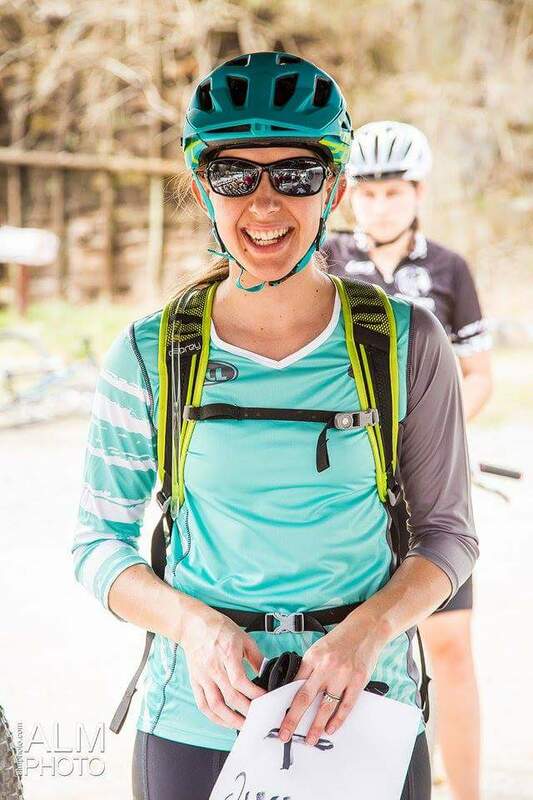 I started to ride easy and familiar trails with friends and embraced that I would be riding my pace and walking any terrain I was uncomfortable with to ensure I was set up for success. By the time I was mentally ready to ride challenging rides from my pre-accident life, my technical bike handling skills became a mental process I applied to ride anything, not leaving room for me to fixate over what-if’s or engage in negative self-talk. I eventually returned to the trail where I had my accident, not putting pressure on myself to ride the part where I had crashed, but just to honor what had happened and how I had grown from the experience. At some point, during the ride, my friend and I stopped to have a snack and she asked where my accident had been. I said we should be getting to it soon and scanned the horizon. Behind us, on the trail we had already ridden was the site. I had transformed myself into an engaged rider and rode the section without even noticing it was the fated spot! 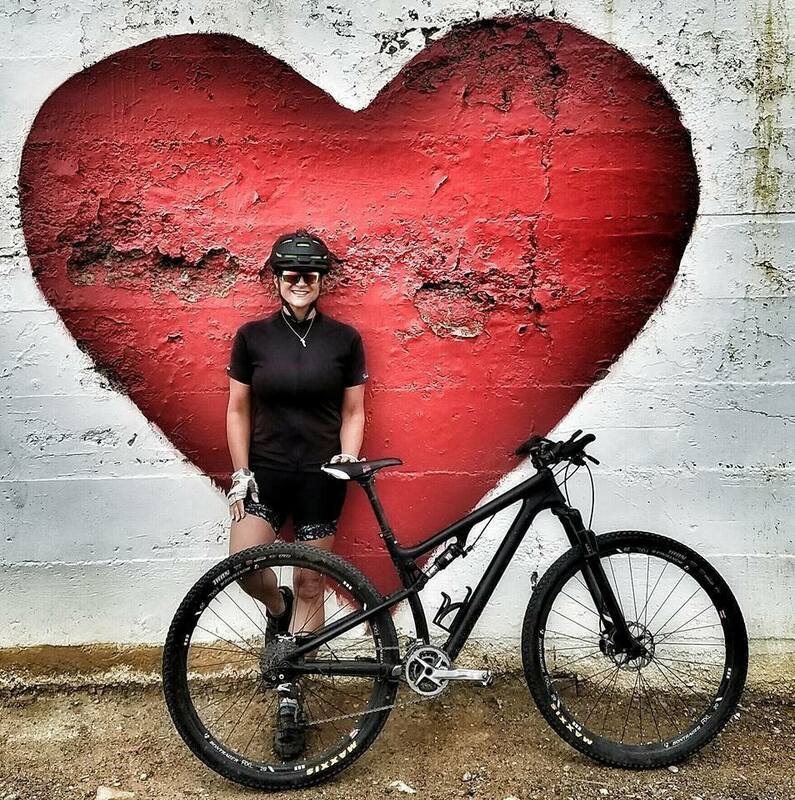 Not that I don’t have fears, crashes, injuries, or encounter obstacles that I choose to walk; but I know I will make ride choices that are right for me and this is the secret to loving and progressing as a mountain biker. This surprises people, but I went to my first race the same year I got back on my bike post-accident. I was hoping to meet some strong female riders to ride with and mentor me in becoming a better cyclist. I didn’t care at all about the race itself, I was on a mission to make a biking date. It turned out that I loved the mtb race, made plans to ride with another lady the next day, and signed up for the entire race series as well. What helped you make the decision to race in the elite field? I personally do not put much weight into where I finish in a race, but how I am able to use my strengths strategically and adapt to situations. Don’t get me wrong, it’s amazing when I land on the podium and I take every start-line gunning for the top spot. 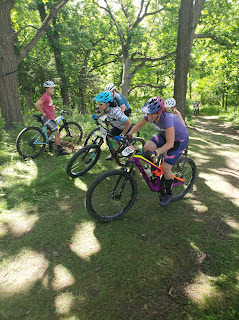 However, I enjoy the chaos of a pack of riders, making alliances with other riders for mutual gain, and having friendly rivalry on the course that pushes both of us to go just a little harder. For this, you need a large field. Large fields in Women’s XC racing is found in the Elite category so I petitioned for a USAC Pro upgrade as soon as I could. What were you surprised to learn when you started racing elite? Just one? I love stage racing and did the Quebec Singletrack Experience this year. It was amazing! Everything was taken care of once I got to Quebec City, each day’s stage featured almost exclusively single track that was among the best in the province, the event fostered a community of riders who I am still in touch with, and the locals could not wait to show off their city. I’m taking my KS-Kenda Women’s Elite Teammates with me next year! You should come too. For every rider, there is a multitude of gains to be had by participating in a cycling event. I have a global reason to entice women to participate in an event. For women to be seen and treated equally, we have to show up! If we don’t participate because we are afraid of being the only woman there, some other woman will be the only one. If we are afraid we are not good enough, that fear will make it so. If we feel it’s a male-dominated sport, we are letting it be by not showing up. Please, show up! Do you remember when you got your first bike? You were probably like me, a very young kid who was limited by needing others to take you places. The bike was your first real step to independence. Suddenly you could ride over to Jenny’s house to play, watch one more cartoon before going to school because it was way faster to pedal than walk, and you could take the short-cut behind Grumpy McGregors house knowing you could sprint away faster than he could catch you. Bikes are still that generator of independence for me, offering freedom to explore and simplicity to just be me. I have a stable of Pivot bikes. I’m spoiled I know! Let me introduce you to them. Melanie Z. (last name omitted to protect the not-innocent) is named after the “mean girl” in grade school. Melanie Z. is a Pivot Mach429SL. She is my go-to bike for riding with friends, racing XC and stage races. Her geometry is trail friendly and playful unlike most XC bikes. 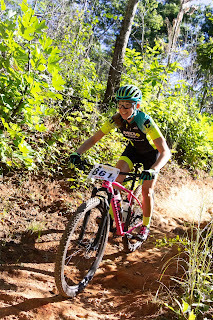 I ride and race full suspension: it gives me traction on loose/technical climbs, Pivot Cycles are designed not to bob on climbs so they are as efficient as a hardtail, are fun and forgiving to rip downhill on, and let me recover descending unlike on a hardtail. For XC I prefer 29” wheels because they are simply faster rolling than smaller diameter wheels. This year I moved to Shimano Di2 1x11 drivetrain. It gives me a huge advantage when I need to go from a very small to a tall gear in one pedal stroke like at the bottom of a descent that reveals an instant steep climb. A KS Dropper post is non-negotiable for me as I mentioned earlier. And Kenda Honey Badger tires never let me down on any terrain I encounter. Baby Back is my “big bike.” Named so because she is large and in charge. She is a Pivot Firebird with 170mm travel to devour big lines and go skyward with ease. I like to ride this bike on obstacles that are heady to give me confidence and when learning new skills. Baby Back is forgiving when I’m short on a double, overshoot a table-top and am riding big drops. It also lets me work on my reactions with increasing speed. All of these transfers to my XC riding, and honestly this bike is silly fun to play on. Raksasha is the bike I ride when I’m not hitting the trails. She is a Pivot Vault that I swap CX, gravel, and road wheels on. I’ve raced CX and TT on this bike. It’s great to have one bike that is so versatile; this is why she is proudly named after the mythological shape-shifter. Enzo, named after the Italian race car driver who was famous for sliding sideways through corners, is my fat bike. I will ride in almost any condition before I’ll get on a trainer! This bike is not just fun in the snow, but at the beach and sand dunes too. And then there is Training Weight. This steel framed, triple ringed road bike has logged more miles than any other and has been in my life since college. I commute everywhere him. He weighs more than Melanie Z. When you read magazines, see videos, advertisements, etc. it makes MTB look like a gnarly high-risk sport where dudes grunt, glory is had only in being a beast who thrives on suffering, and you need a graduate degree in Mechanical Engineering to begin talking about bikes. I’m often surprised there are as many women mountain biking as there are they are given this. Women, in general, thrive in a supportive community where mentorship naturally occurs. 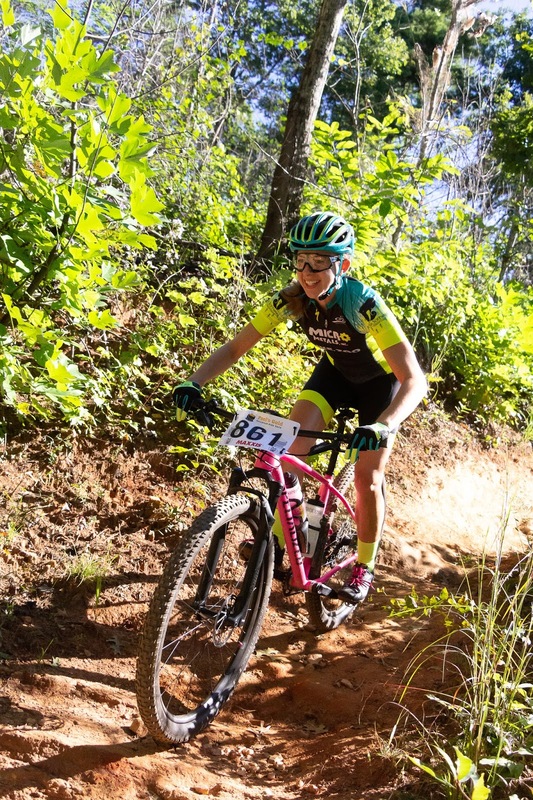 I am seeing more and more of this for women new to the sport; but there are few communities for women who want to race at the top level, ride the most challenging terrain, or are industry leaders and innovators. I believe this is a large component for reduced female entries at races, a paucity of women at bike parks, and few women in leadership roles in the industry. 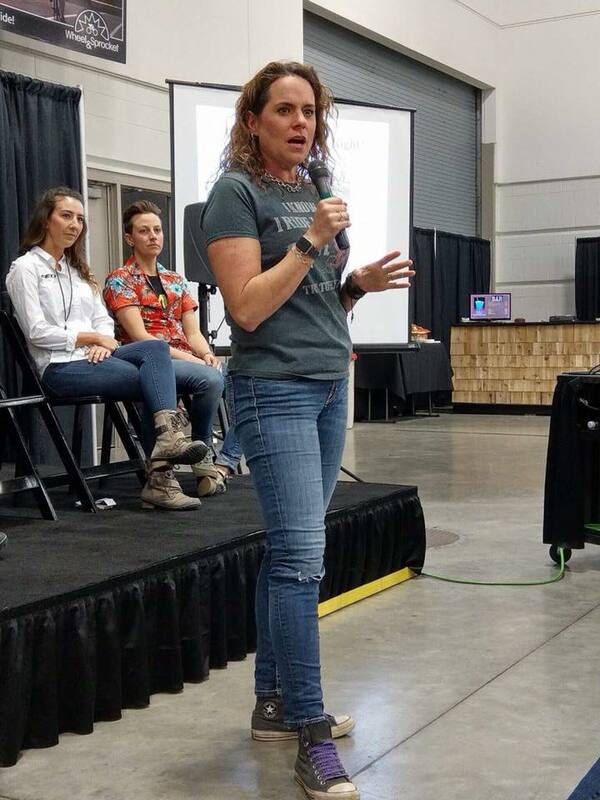 Tackling this is a goal for myself and my co-founding KS-Kenda Women’s Elite Teammates, Nikki Peterson and Jen Malik. We hope to create a place where aspiring mtb racing women can find community and support to pursue a professional cycling career. 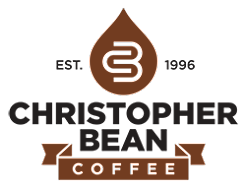 We have plans in the next few years to have a mentoring “team” for amateur women and are becoming involved with the industry as business women. 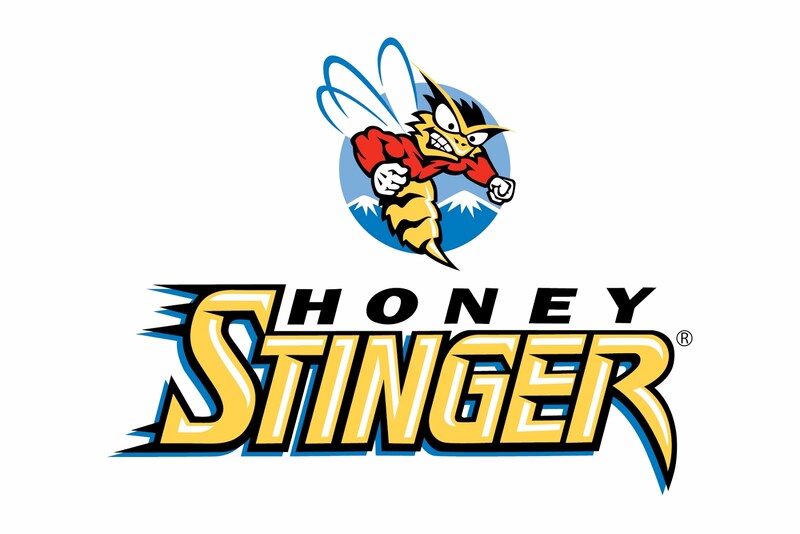 Our success in our first year has been more than we dreamed and is prompting other women to band together and form teams for 2019. See more women out there! Even if the numbers are less, prizes and support/ sponsorship opportunities need to be equal. If there are only a few women visible, it is intimidating to other women to join in. Often the women who are leaders have downplayed their femininity to be taken seriously. Acknowledge women are a different demographic than men but are equal in buying power, ability, and importance. Biking is a platform for unlimited growth in all facets of life. If I know something is awesome, I want to share it with everyone!